Rocky & Evelyn's wedding was full of beautiful moments, including their sweet puppy. 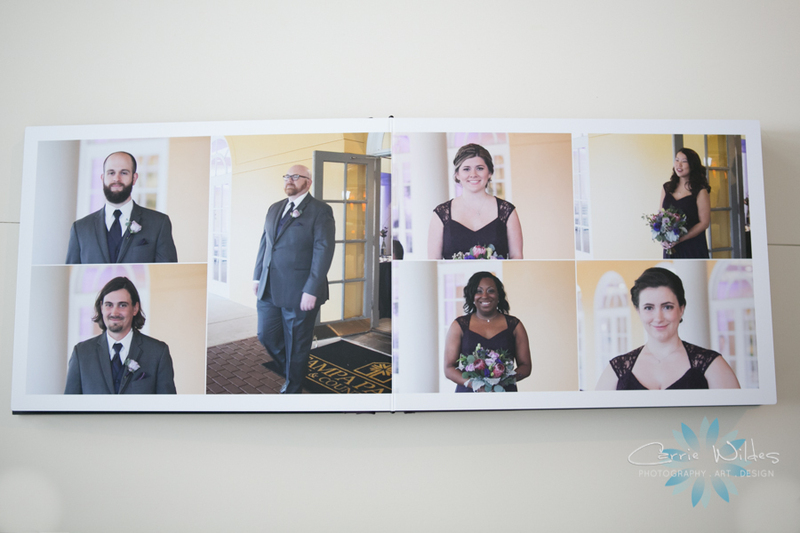 Their wedding style was a mix of elegant and rustic with pinks, purple and black so this 2 toned leather cover with our favorite photo of them looks amazing! 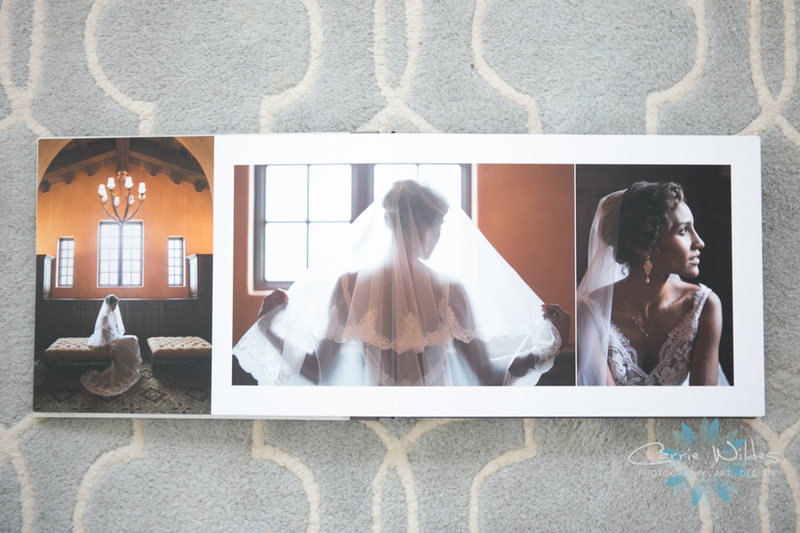 Check out some of our favorite spreads below! 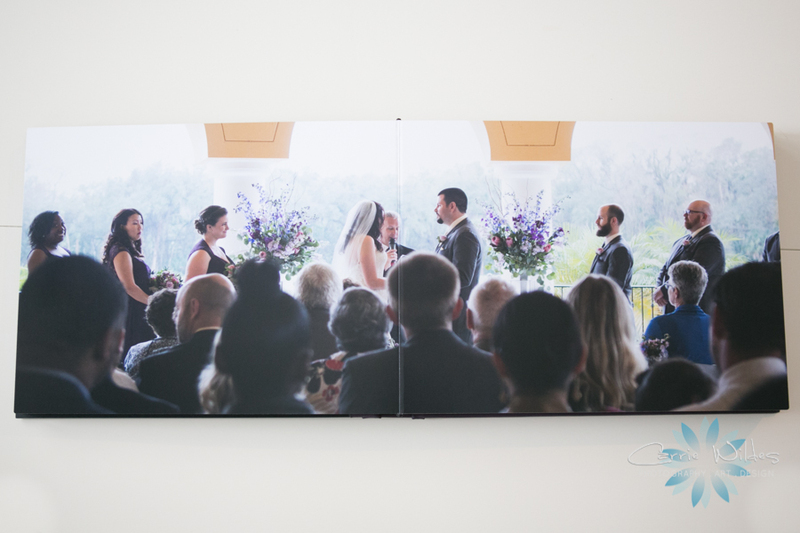 Oh how pretty Brittany & Brandon's wedding album turned out! Flipping through it makes me smile as I remember how gorgeous Brittany looked and the sweet look Brandon had when he saw her walk down the aisle. Their beautiful wedding day was at the Sand Pearl one of my favorite details was the ceremony setup. It was in the round, on the lawn, with flower petal lined aisle and crystal, acrylic center piece. 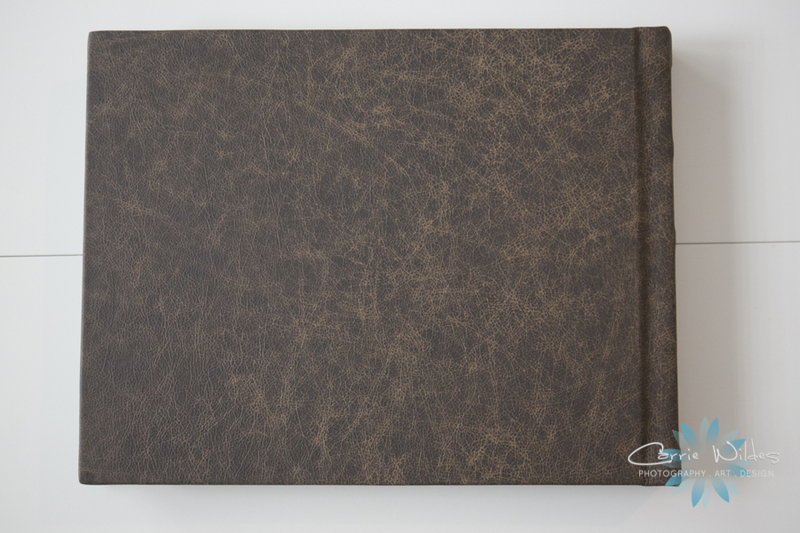 The acrylic cover and swirly patterned black leather they chose was perfect!